Ever since my father sold our Star Coupster in 1938, I have always wanted to own one. However, they were so rare that even then, there were not many around. There were quite a few Star cars around in 1938, but not many Coupsters. First of all, I better explain what a Coupster is. Its not a coupe or a roadster but a combination of both. It has a permanent top like a coupe but doors and upholstery like a roadster, and side curtains that pull down out of the top, instead of roll-up glass windows like a coupe. 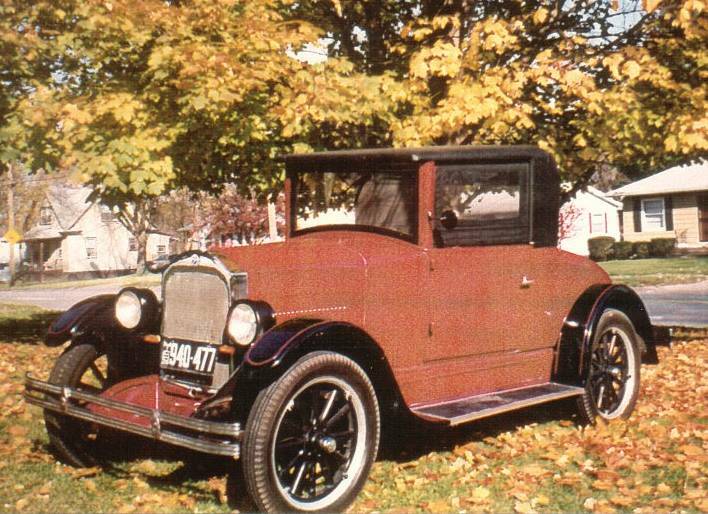 They were built in limited quantities in 1925 and part of 1926. Durant Motors got a patent on them so they could not be copied by any other carmaker. 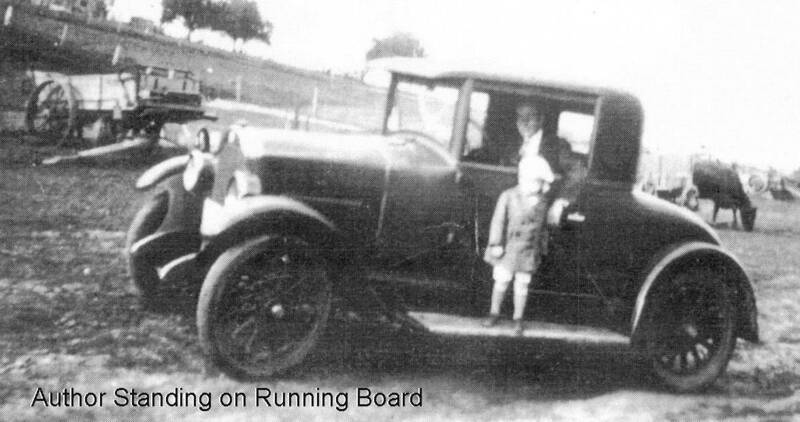 At the time dad traded his for a 1928 Chevrolet coach, I was too young to own a car. I was only 13 at the time. Since then, I remember seeing only one other and it was in very bad shape. This was around 1950, and it was not for sale. About 1955 I bought a 1927 Star Coupe, figuring I would never find a Coupster. Imagine my surprise, in November of this year, 2003, when I saw one advertised in the Durant Club newsletter. It was only about 300 miles away in Athens, Michigan - priced reasonable and restored to boot. As soon as I could I called the man and made arrangements to purchase it. I was really excited and was so surprised to find one after all these years. As soon as we could, my friend, Virginia, and I hooked up my trailer, jumped in my truck, and headed for Michigan. Upon arrival, I found the car to be even better than I had expected. I drove it around the block, and it performed well, with a peppy and good running engine. I bought the car on the spot, and after spending an enjoyable evening with the former owner, Chuck Miller, and his wife we headed for home. The trip home was without incident, except for one very unfortunate thing. Around Gary, Indiana, I saw one of the side curtains flopping in the wind, which was very strong that day. I stopped to get gas and pulled it down, thinking it would be O.K. well, it wasn't. Somewhere in Indiana the passenger side curtain blew off I didn't even see it go. The bad part was that the original curtain frame went with it. So now I need to make a new curtain. There is probably no chance of ever finding another one or the one that blew off. The next day after we got home, we drove the car to our local Region AACA Octoberfest. The little car really attracted a lot of attention. A lot of people had never seen or heard of a Star car, let alone a Coupster. I also drove it in the local Veterans Day parade with our American Legion Commander riding with me, and there again it really stole the show. This car is identical to the one my father had, and every time I look at it, or drive it, it brings back a flood of wonderful memories.